The Heat Tray Pad from Better Brew is a total re-think of what a home brew heat pad should look like. This is a flexible, round ”mat” which will fit under any bucket or vessel, it is totally wet-proof and has thermal cut-out protection just as our belt. This product has been thoroughly tested for safety to comply with all UK regulations and is supplied with a UK plug. The Heat Pad has a 30cm diameter. This heater pad is permanently on and gives off a constant warm heat so it is important that regular checks should always be made to ensure that the correct temperature is being maintained. Our Bottle Brush is just the job for making life easier. Cleaning bottles can be laborious without the proper equipment, especially when cleaning lots of bottles at once. This high quality Bottle Brush is sturdy and can easily squeeze through the necks of standard wine bottles, beer bottles and demijohns to enable thorough cleaning. Brush head measures 7.5cm 3" across approx. The Home Brew Online Standard Equipment Pack includes all the equipment to start brewing, the only thing left to do is choose which type of ingredients you’d like to make - ingredients are not included. 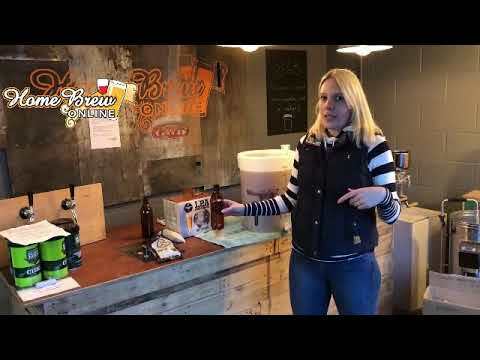 This set-up will enable you to make up to 40 pint batches of beer, lager or cider (ingredients are bought separately and are not included with this equipment starter pack). The equipment included is easy to use, very good quality and includes many of our top selling lines, it can all be used for many years to brew great quality home brew. Plastic Stirrer – It takes a long spoon to mix the ingredients! Little Bottler with tap and sediment trap – To easily transfer the beer from the fermenter to your bottles. Cleaner/Sanitiser – Ready to start? Clean your equipment to avoid contamination. Instruction Sheet - Easy to follow step by step guide. Showing 2 of our total 13 reviews, with an average rating of 5 stars. 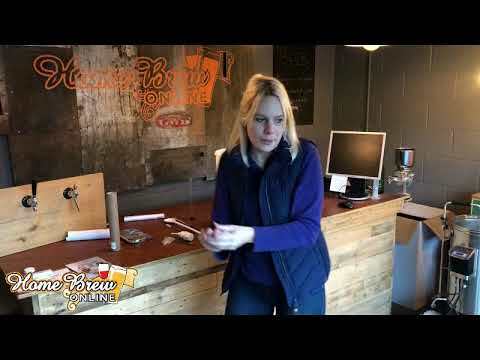 Read all 13 reviews for Home Brew Online Standard Starter Equipment Pack With Brown Bottles. All arrived promptly and has proved to be very good, the brewed beer has been completed and tastes good !